Pictures Speak Louder Than Words, So Choose Infographics… Consider this for a second… You’re scrolling through your Facebook timeline and you see two statuses; one has a picture, the other contains just text. Which one do you read first? We bet it’s the status with the picture. The fact is images catch our attention far easier than words alone. This is the main reason why our infographics service is so successful here at Harrison Mann. Presenting complex data visually and aiding your understanding of it in the process, well-designed infographics can increase conversion and improve engagement. Our infographics will always meet your goals; whether you’re looking to provide data in a more attractive form, or you want create some linkable assets to support an SEO campaign. We can help in all sorts of ways, and infographics will help tell your story in the best way possible. From product launches and crowdfunding campaigns to disaster mitigation, our experienced digital PR team can help tell your story the way you want it told. Why Work with Harrison Mann? So, why would you choose to work with Harrison Mann over the other infographics agencies out there? Well, we have a proven track record when it comes to presenting data well. We’ve increased sales for our clients by designing eye-catching graphics which more than get the job done; they keep customers coming back to your site. We’ve worked with a host of companies, organisations, agencies, and charities like yours, but we’ve also helped some major UK firms boost their image with, well, images. Our campaigns offer excellent value for money – and you’re guaranteed to see a return on investment, too. With infographic design starting from £800, and full infographic design and outreach starting from £2,000, we can help provide a range of solutions based on your needs. The UK’s leading supplier of infographics and data design, we create successful infographics for a host of clients. As well as traditional information design, we can provide unique guides which will push out your business’s message in the form of well-designed imagery. Acquire backlinks to your website, at an additional cost. Ready to let an infographic design agency propel your business? Link acquisition, as mentioned above, can improve the reach of your image-led marketing campaign. A great way to create links back to your website, as well as build your online authority to instil trust in your clients, infographics make good business sense. As you might be aware, quality backlinks from trusted sites are the backbone of SEO. Helping to increase your website’s rankings, they’ll give you a nudge up in Google searches and ultimately lead to improved sales. So why are infographics important, then? 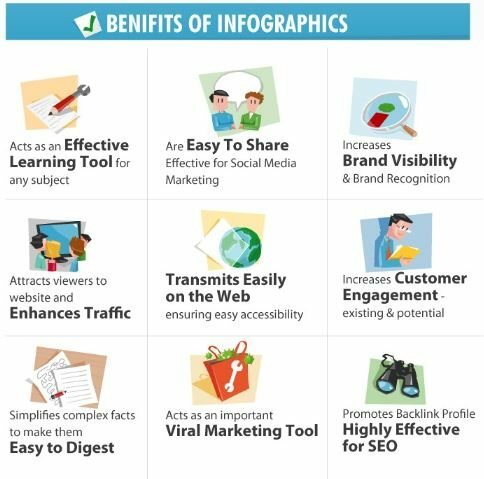 Well, a good infographic, featuring interesting data and information, can help build those all-important links. First, we’ll research and compile a number of relevant ideas based on your unique industry. Using content marketing tools to discover what your potential clients are searching for, we’ll then come up with a range of suitable ideas your audience will like. Analysing top performing content within your sector, we’ll produce some evergreen ideas that will stand the test of time. Helping you gain continual links and social media shares based on the infographics value, our ideas will translate into a winning marketing strategy. After we’ve agreed on a topic, our team will collect data and information from a host of credible sources. We’ll then check the accuracy and quality of this data, and only once we’re happy the information is correct, will we structure it into an easily digestible format. We’ll then send it to you to be signed off. Here’s the exciting bit! Turning data and information into an eye-catching infographic is a process that needs to consider everything from fonts and imagery to colours and layout. Our aim is not just to create something that looks fantastic; it also needs to display the data properly, and provide value to the reader. This will ensure they are more likely to share or link back to the infographic – which is largely what it’s all about. Once the infographic has been published, our outreach specialists will look for relevant websites on which to post it, grading them in order of quality. We’ll then build relationships with bloggers and website owners in order to get the content published on these top-performing websites with a link back to your site. The final phase of our infographic service is to find any website owners who may have featured your infographic, but have yet to attribute it to the original source: your website. We’ll then reach out to them to ensure you receive the correct credit on their site, as well as a link back to a relevant page within your own website. Our infographic packages are competitively-priced, so you can enjoy the benefits of image-led content at a cost to suit both you and your business. In most cases, we’ll quote upfront, which means you’ll know exactly what to expect – and how long you’ll be waiting until your infographic is ready. Not as long as you’d think, we might add. Working closely with you to devise infographics that work, we’ll incorporate the data you supply to us (or we can do the research for you) in a clear and concise fashion – and there will be no hidden charges along the way. All quotes include one round of revisions, too, which means you can put your confidence in us for a job well done. Interested in our infographic design service? Contact us to see how the team here at Harrison Mann can improve your reach.